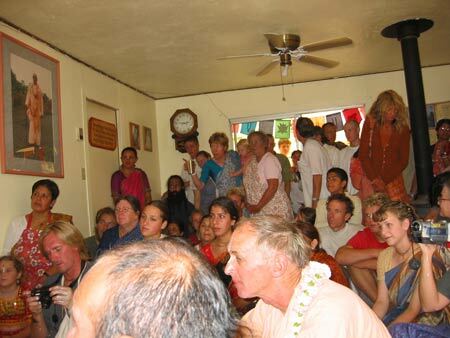 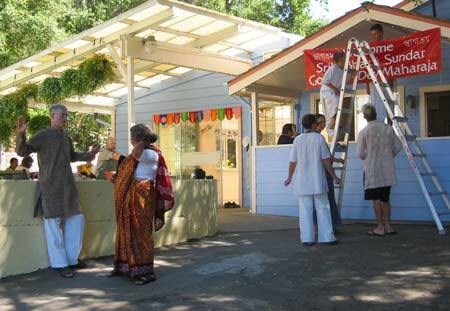 Sri Sri Guru Gauranga Gandharvika Giridhari awaiting Their Devotee. 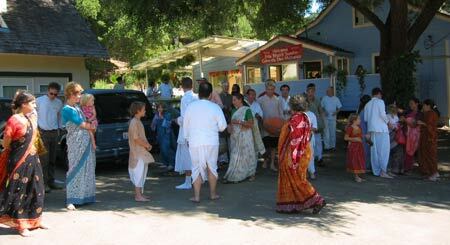 Devotees getting ready to receive their beloved Guardian. 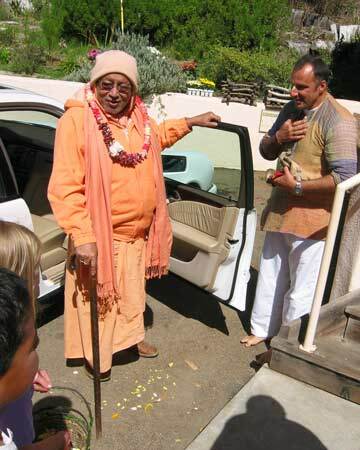 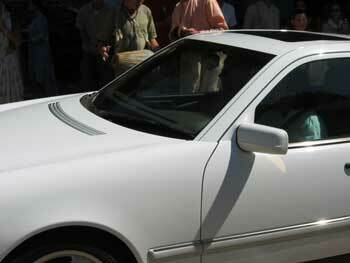 Srila Govinda Maharaj arrives at the Soquel Sri Chaitanya Saraswat Seva Asram in Srutasrava Prabhu's car. 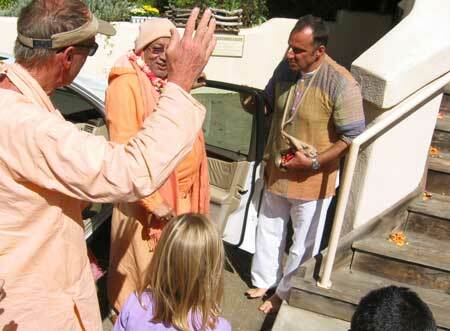 Children offering flower petals to the lotus feet of our Acharya. 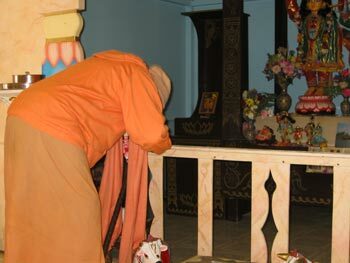 Sripad B.P. 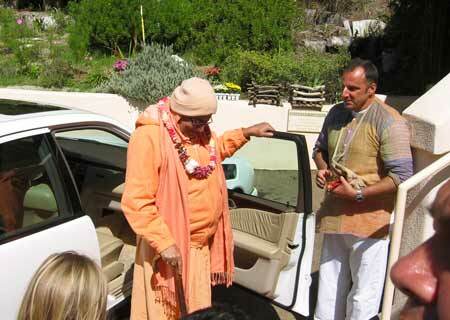 Siddhanti Maharaj welcomes our Divine Guest after His 12-hour journey. 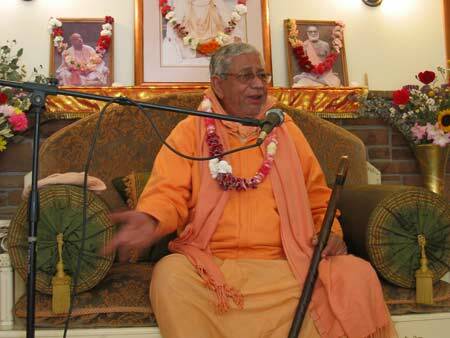 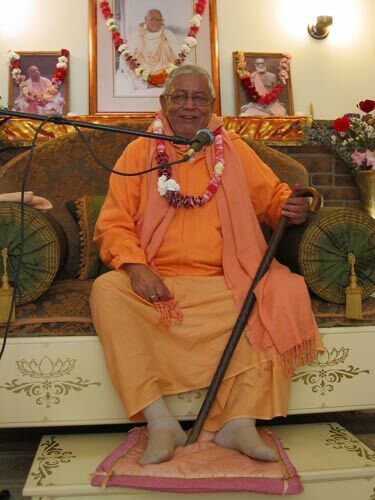 Chanting the Holy Names under Srila Gurudev's merciful glance. 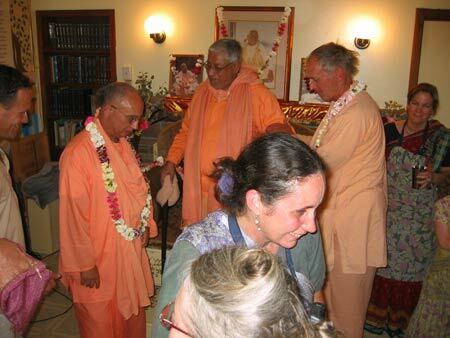 Sriman Aravinda Lochan Seva Sundar Prabhu greets Srila Gurudeva. 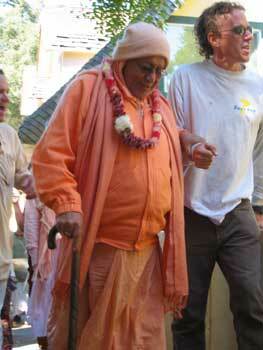 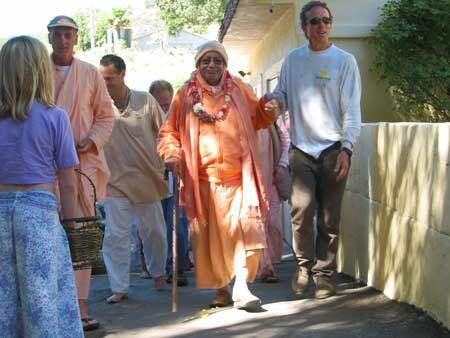 Sriman Krishna Bhushan Prabhu serves Srila Govinda Maharaj as he walks to the temple. 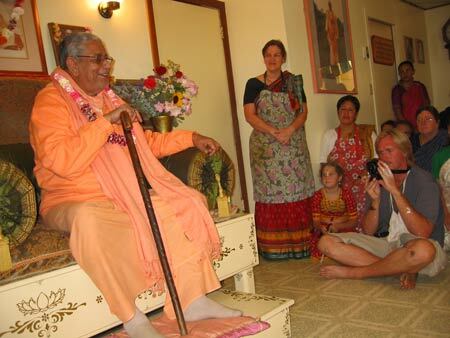 The Lord and His Devotee. 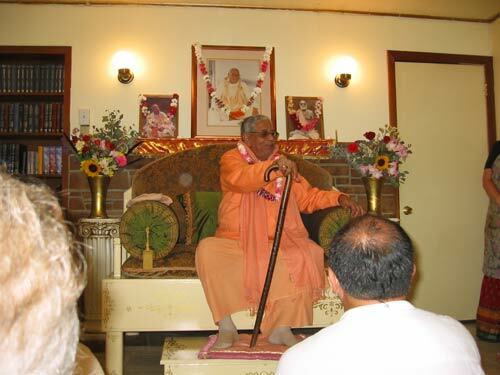 His Divine Grace addresses the assembled devotees. 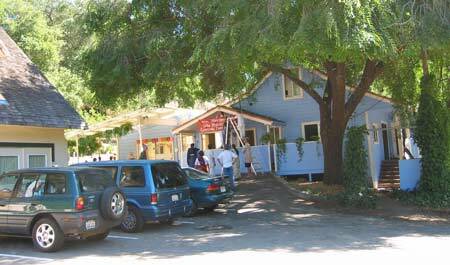 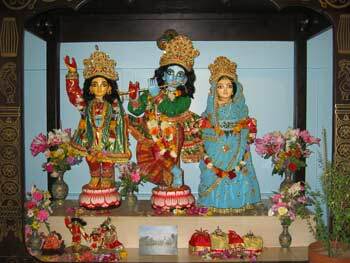 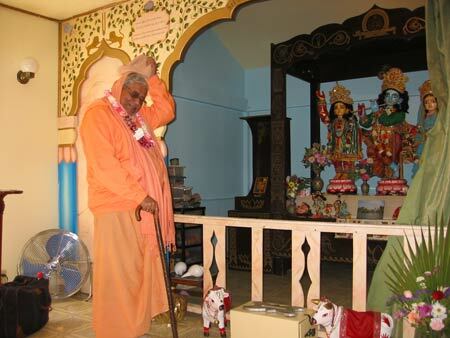 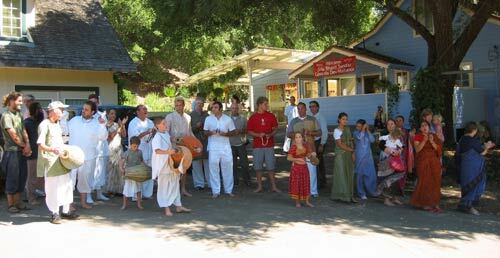 Srila Govinda Maharaj's sees the Soquel Seva Asram like Govardhan. 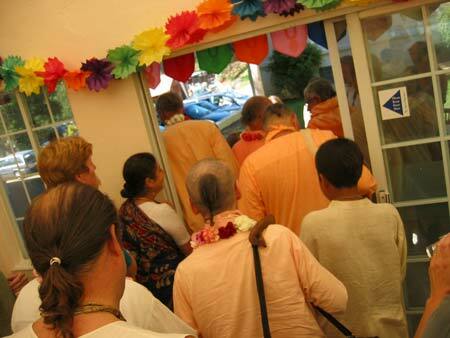 He says everything here is growing beautifully by the devotees' service. 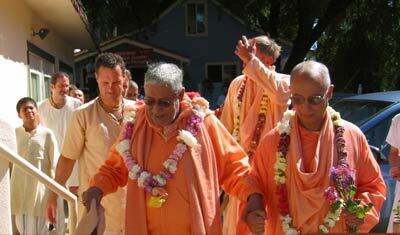 The most important thing is association with Guru-Vaishnava. 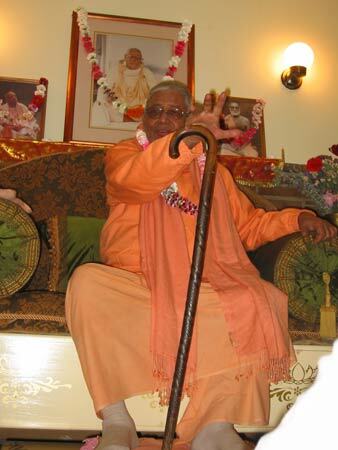 Glorifying Srila Bhakti Raksak Sridhar Maharaj. 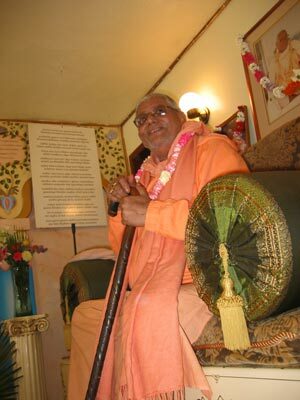 Sriman Jagadananda Prabhu, Sripad B.P. 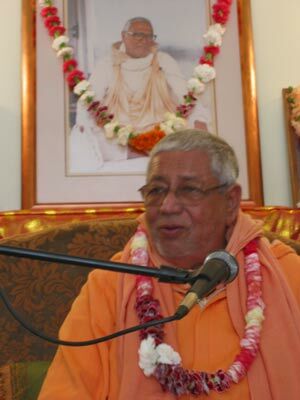 Janardan Maharaj, Srila B.S. 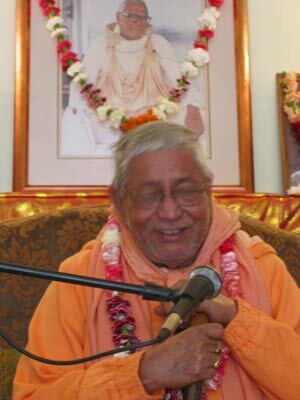 Govinda Maharaj, Srimati Krishna Priya Didi, Sripad B.P. 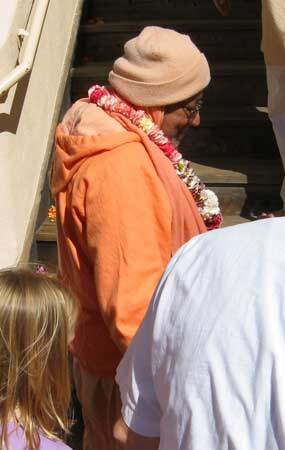 Siddhanti Maharaj, Srimati Sanatani Didi. 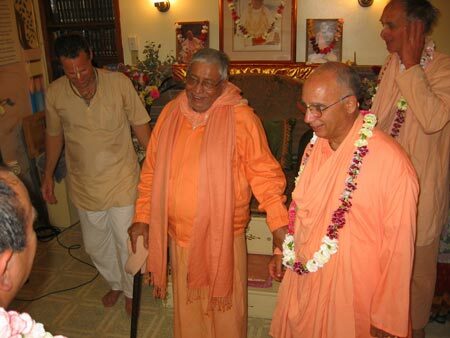 Affectionate smiles to Sriman Raja Ram Prabhu. 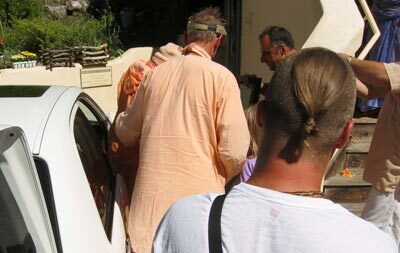 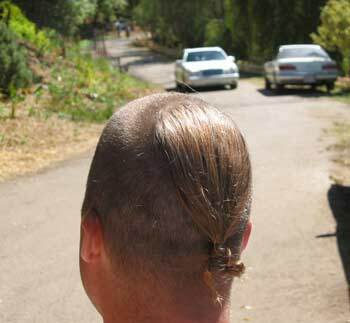 Leaving the temple to the Acharya's quarters. 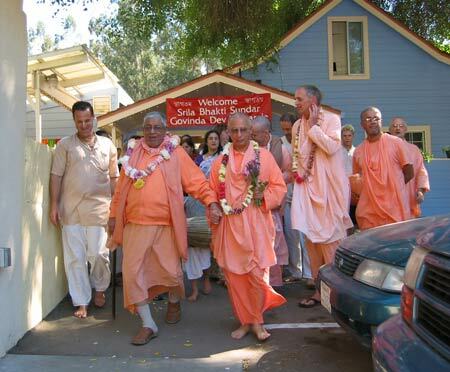 Sriman Jagadananda Prabhu, Srila Govinda Maharaj, Sripad Janardan Maharaj, Sripad Goswami Maharaj, Sriman Mathuranath Prabhu, Sripad Siddhanti Maharaj, Sripad Akinchan Maharaj, Sripad Parvat Maharaj. 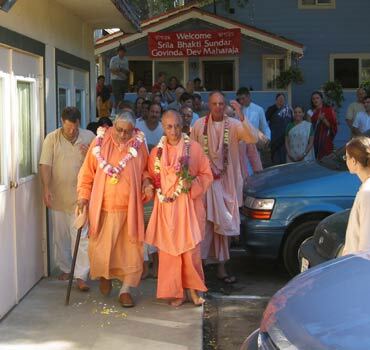 Srila Govinda Maharaj goes back to His residence.